You may have seen a photo I posted on Instagram last night that blew the surprise about what activity we checked off of our bucket list yesterday. It turns out, The Philadelphia Orchestra does a number of concerts each summer at The Mann Center and they are picnic-style, which means you can bring in food and booze. Now, that's my kind of concert! I stopped by Di Bruno Bros. during my lunch break yesterday and snatched up some tapas style goodies for our picnic. The Orchestra performed the music that accompanied Fantasia, while footage from the film was shown on the big screen. It really brought me back to my childhood, especially that scene with Mickey Mouse and the brooms -- that was my favorite! 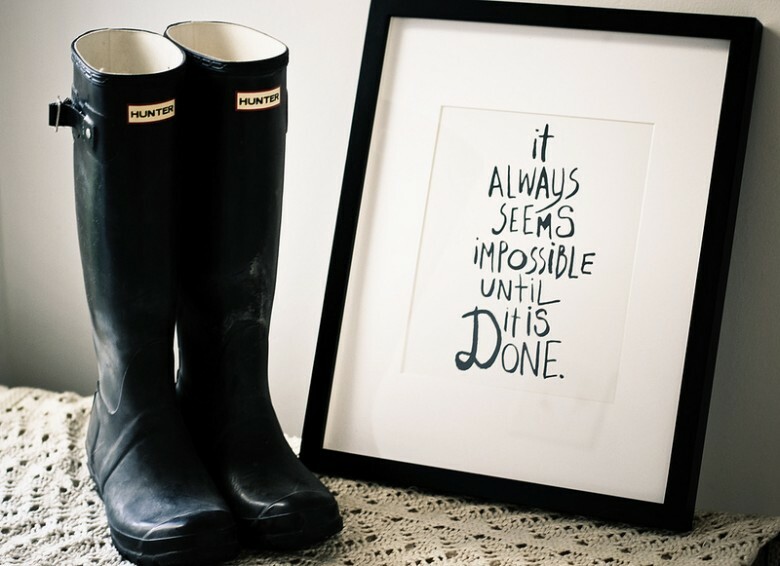 I believe everyone needs a bucket list. And not the kind that's just in your head either. One that's on paper (or the computer) where new items can be added and completed ones crossed off. The husband and I recently made a bucket list together. Basically, the list could be split into two sections, places we want to travel in our lifetime, and things we want to do. What's nice about the "to do" part of the list is that it's an awesome source of inspiration when we are bored or want to plan a fun date. So here it is, our bucket list. As I mentioned, it's a working list so things will get added and removed as we go along. In fact, we're going to get to cross off one of the items in our "do" section tonight. Can you guess which one? 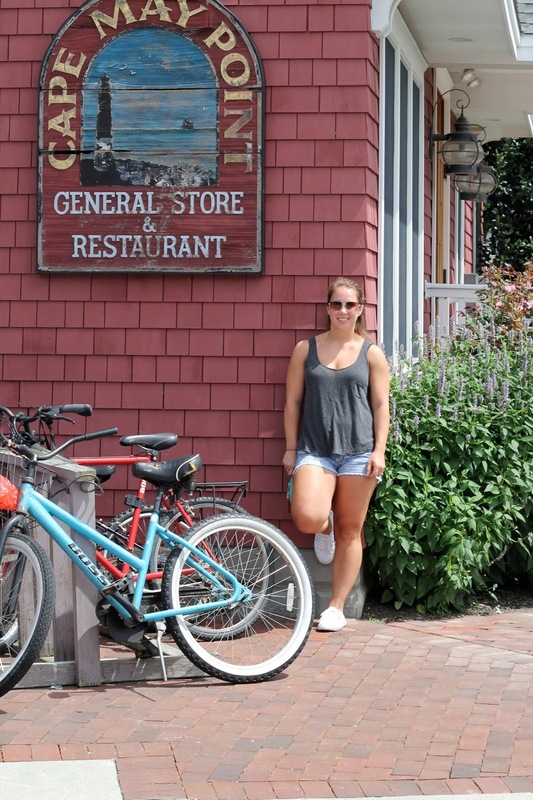 This past weekend we took one of our semi-annual vacations to Cape May, New Jersey for a long weekend. We usually book at least two weekends a summer at this adorable little beach cottage in North Cape May. You'll see by the following photos that there is only two things we like to do on vacation. Number one: sit on the beach. Number two: eat. We had a lot of great breakfasts and dinners out and I always prepare a bunch of food so we have enough for lunch and snacks throughout the trip and thus we save ourselves a little money and don't feel so guilty when we splurge on a meal at a restaurant. 1. I got a new toy! 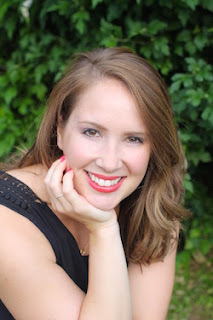 I was in the market for a camera so that I can enhance the photos on this here blog. 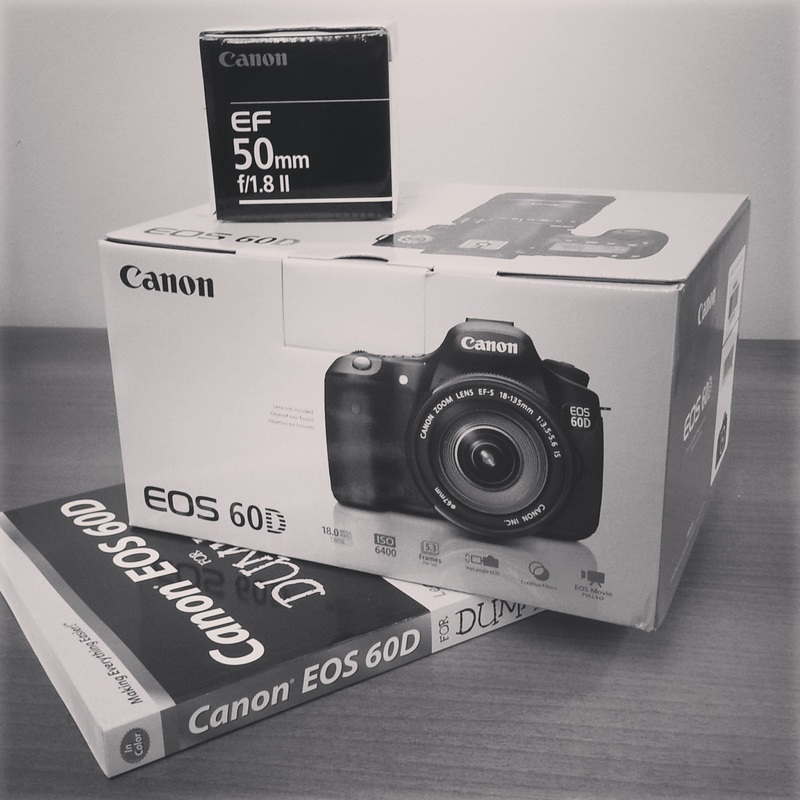 My 60D arrived in the mail last week along with a lens I picked out and a very important book. I've been reading up on how to use this machine (right now it seems like I need to be a rocket scientist to grasp the basics) but I'm having fun learning and testing it. There is a wonderful Thai restaurant in our neighborhood, Chabaa Thai Bistro. It's a little bit pricey, but so delicious that I think it's worth it. We decided to order up some panang curry with chicken and crazy noodles for takeout after a busy day. Their takeout portions are okay, I always think you get more food if you actually eat in the restaurant, but you get enough to be satisfied. The thing is,there is so much of the panang curry sauce leftover and it seems like a waste to throw it away! So, with some minimal grocery shopping I was able to stretch the $15 entree into another dinner for two! I'm about to tell you a secret. Honestly, you can't share this with anyone. This is just going to stay between us. If people everywhere got a hold of this information it would be catastrophic. 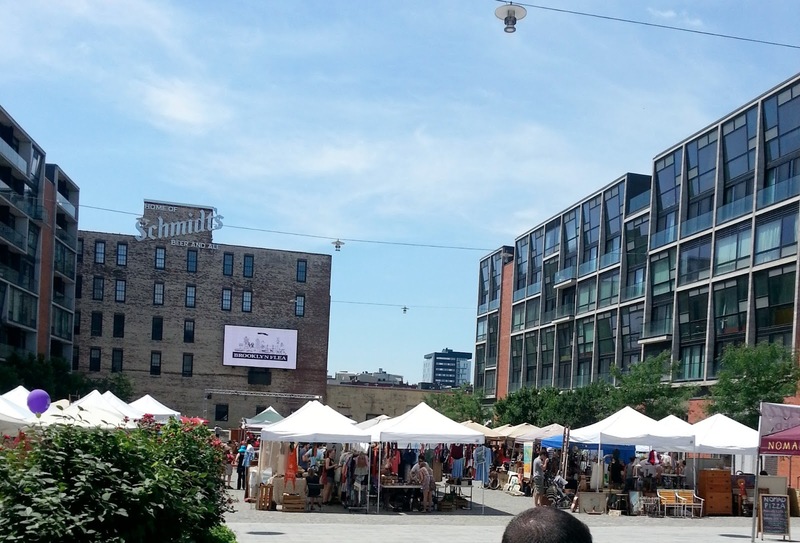 Ever since we heard about the Brooklyn Flea coming to Philadelphia for the summer, we've been trying to get out there on a Sunday to check it out. Of course we would pick the hottest day of the summer (not really, but it sure felt like it). I love flea markets because there is always tons of interesting things to look at and looking at everything and wondering, Can I use this in my house? And if so, how? There were lots of vendors, mostly furniture and home goods, but a handful of clothing and jewelry ones too. I have a feeling it was a slower week than usual because of the Fourth of July holiday, so we're going to have to go back later in the summer and check it out again. I wish I could say that we picked up some awesome things and totally scored at the flea market, but we didn't. Sometimes I'm just not in the mood to spend money. So for the most part, we just looked around and said, "this would be cool but we don't have anywhere to put it." We have had a beautiful ice cream maker sitting in storage for about a year now. It was one of those things that we I put on our wedding registry because we I thought it would be so cool to make homemade ice cream and frozen yogurt. Picture this scene in Bed, Bath & Beyond "Bry, of course if we had an ice cream maker we would use it all the time! It will be awesome because there won't be any preservatives, we can make crazy cool flavor combinations, and instead of buying a whole gallon we can just make individual servings!" (That last part was a bold faced lie.) BryGuy just shakes his head. But alas, the poor machine just sat there in storage, just waiting to be taken out of it's box. 1. I wrote all about our friends visiting Philly from Boston and our fun adventures around the city. 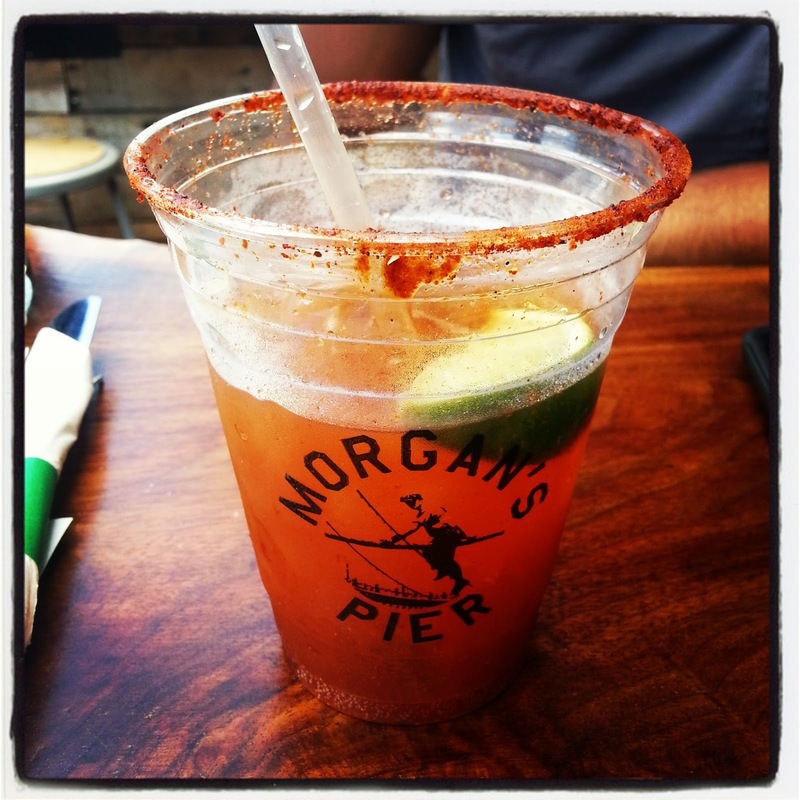 BryGuy ordered the Michelada from Morgan's Pier and it was spicy and refreshing all in one. Happy Independence Day you crazy 'Mericans! I love living in Philadelphia for this holiday specifically, they really do it up big. However, I don't do so well in those crowds so I will be avoiding the Parkway at all costs. BryGuy and I don't have any big plans today, we might just hang with friends, do a little barbecuing, and take it easy. If the weather cooperates tomorrow or Saturday, we might drive on over to the Shore for some fun in the sun. It's certainly not perfect, but this country is pretty darn awesome! A special thank you to all of those individuals who continue to protect our freedom. Stay safe and Happy 4th! 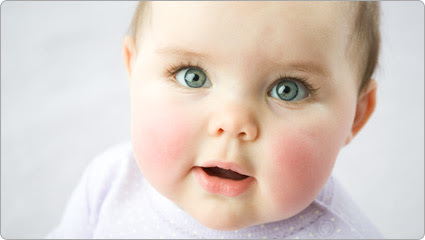 I've got a mild to severe case of baby fever. Oh, you haven't heard of it? Well, it's this condition where every time a miniature human passes by, you get all choked up for no apparent reason and you want to scoop them up and squeeze them and shower them with kisses. It's super serious and can be fatal. Two of our dearest friends decided to pay Philadelphia a visit this past weekend. 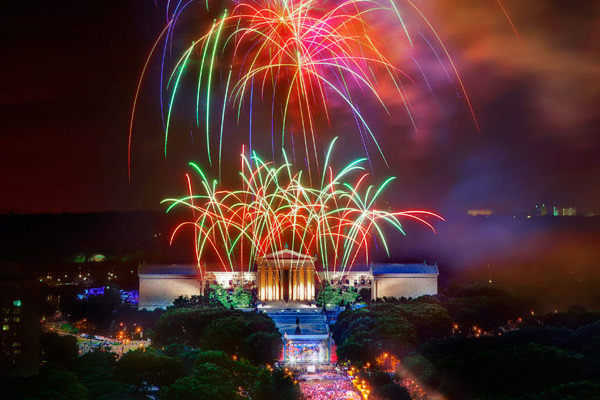 BryGuy and I get a little anxious about these situations, we feel so much pressure to show people a fabulous time when they visit because we want them to love Philly as much as we do! All in all, it was a wonderful weekend. The weather decided to cooperate on Saturday so we took them on a little walking tour of Old City and then had some drinks outdoors (hey, it's what we do best).